Our network of 16 autism charities support thousands of adults and children affected by autism across the UK. All of our services focus on supporting the individual, encouraging independence, choice and compatibility. We will endeavour to match staff to the needs of those who we support, considering personality and interests. We listen to and encourage those we support to have goals and aspirations and will continually seek out employment opportunities. 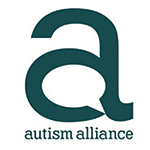 Is your organisation interested in joining the Autism Alliance?